EDM Production 101 -- Do You Think Electronic Dance Music Is Your Thing? 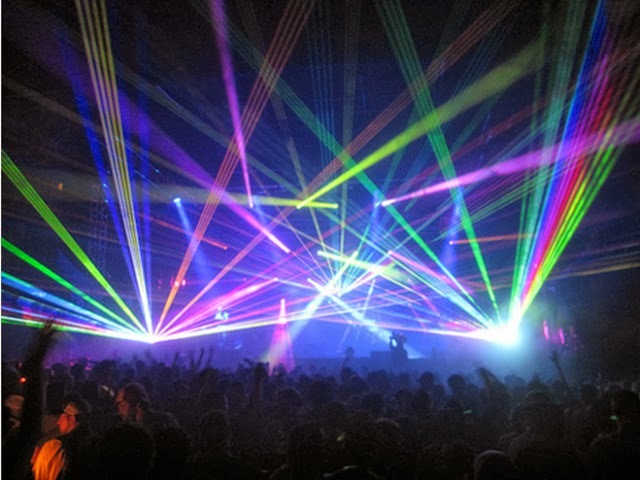 Electronic dance music has been a mainstay of the club scene since the 1980s, but turn on your local top 40 station today, and chances are great you'll hear some of those uh-chuh-uh-chuh beats, which have moved beyond club walls and infiltrated melodies by everyone from Rihanna to Usher. According to a report by the Chicago Tribune, the EDM industry is now one of the most profitable sectors in music. Now is an excellent time for music producers to learn how to create this increasingly popular form of music. One of the biggest tools an EDM artist must choose is what Digital Audio Workstation (or DAW) software they are going to use. The DAW is what allows the artist to control all the different elements of the music he or she is creating, and how streamlined the process of incorporating effects, synths, and other applications will be. One of the best reviewed options on the market, and the one used frequently by some of the biggest names in the industry, is the Image-Line FL (Fruity Loops) Studio software. Although it is not cheap, it's without a doubt worth it as Music Radar mentions. Image-Line FL and other worthy applications allow the user to manage and manipulate multiple tracks at once, eventually resulting in a stereo mixdown, crafted in order to be heard by an audience. For a couple hundred bucks, you can have software that does what only multimillion dollar production studios could do a decade ago. For the full studio effect, plug-in software, such as SSL 4000 will give you access to a virtual console board (and all the effects that come with it), which is precise in its capabilities. Professionals who have used physical boards their entire careers cannot tell the difference, according the developer, Waves. A less expensive option is to use GarageBand, the DAW software that comes included for free with every Apple computer. GarageBand has been used by famous artists, such as Rihanna, Nine Inch Nails and T-Pain, to work on their tracks. GarageBand is a great way to get your feet wet with quality software without breaking the bank. Taking the time to make EQ adjustments and mixing each individual track before mastering the entire EP or LP will dramatically increase the quality of your finished product, as Music Radar notes. Layering kicks and other drum samples one at a time gives you the opportunity to tweak them to perfection, so they will flow together with the rhythm of your track more smoothly, as Sound On Sound and Music Radar notes. If you don't succeed right away, don't get discouraged. There are a lot of elements that go into producing a successful EDM track. It can take years of hard work and practice to become an expert. It took Deadmau5 almost a decade to start gaining success and popularity in the EDM scene. However, if you want to accelerate your progress, there are a number of collaborative options available. For example, Pinnacle College offers audio engineering courses and is one example of a collaborative environment in which you can dramatically reduce your learning curve while picking up countless tips and tricks to improve your skill set. Having the opportunity to learn from experts in the field, as well as collaborate with other budding artists, will have a dramatic impact on your learning curve. Education can be the single most important investment you make in your musical career.